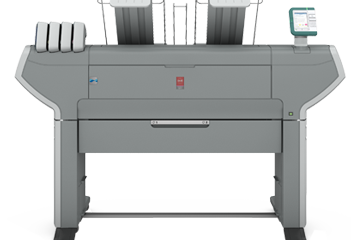 The Océ ColorWave 650 is a versatile, highly-productive large format system — with its ability to print in black & white and color at up to 210 D-size prints per hour.The printer can hold up to six media rolls and prints come out dry, cut to size and ready to use. With the optional online folder, different folded packages can be prepared and printed right from your desktop. A smart way to build a colorful world.